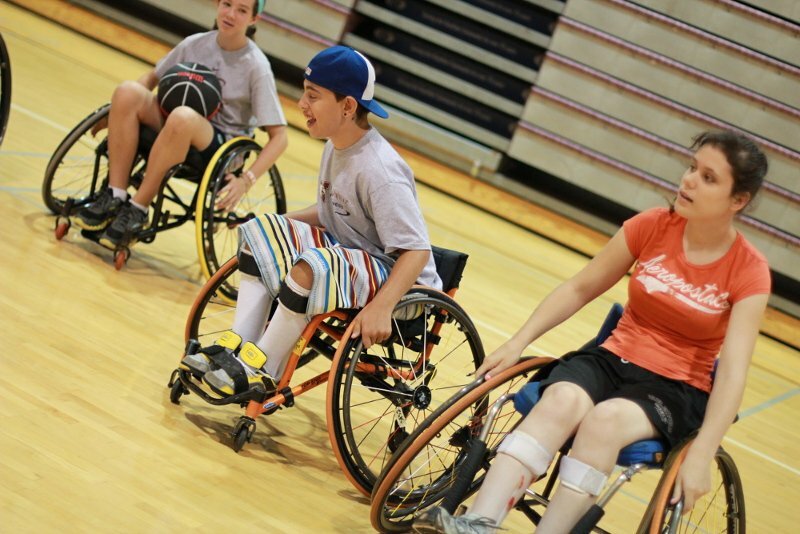 Sport Fitness School is very proud to partner with ParaSport Ontario, Ontario Wheelchair Sports Association and Hamilton Accessible Sport Council to bring ParaSport Fitness School back again for another season of summer sport fun! ParaSport Fitness School will run during SFS Sessions 2, 3, 4, 5, 7 & 8. These sessions includes all the usual SFS fun and a special set of accessible parasports: Wheelchair Basketball, Sledge Ball Hockey and Senior ParaSport, a multi-sport showcase. Sport wheelchairs, roller sledges and other accessible sport equipment is provided for the duration of camp. As with all SFS sessions, camp also features a start-your-day-off-right Wake-Up Call, Fit-Forums and Rec-Sessions including Right To Play activities, and a daily swim in our Olympic Pool. Accessible sport equipment is provided for the duration of camp. We are committed to working proactively to ensure members of all abilities are able to access our facilities, camps, programs and events. We welcome feedback on ways to better serve all members, especially with respect to accessibility and inclusion. Campers outside the 10-14 year age range welcome - please inquire with Lauren Crawford at crawfl@mcmaster.ca. Lunch served daily, delicious and nutritious!